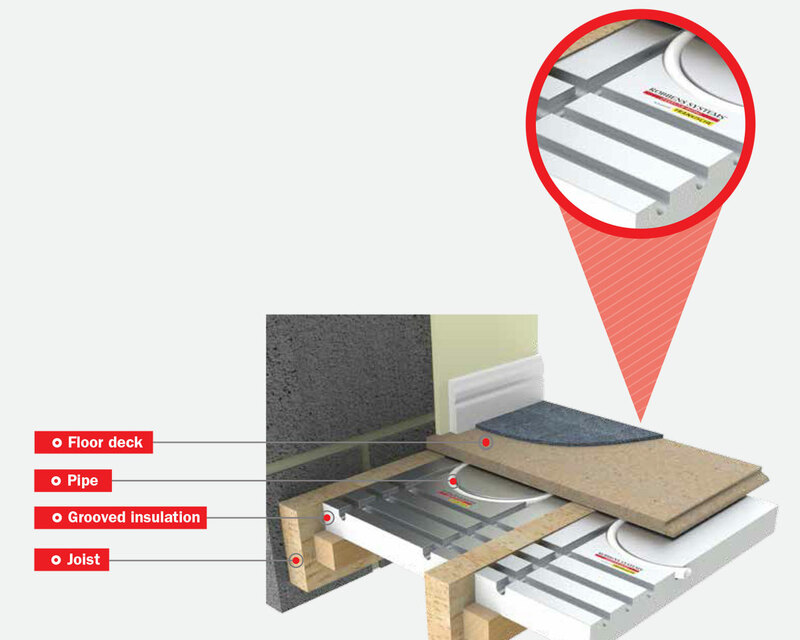 Underfloor heating systems (UFH) can be run using most heating fuels. 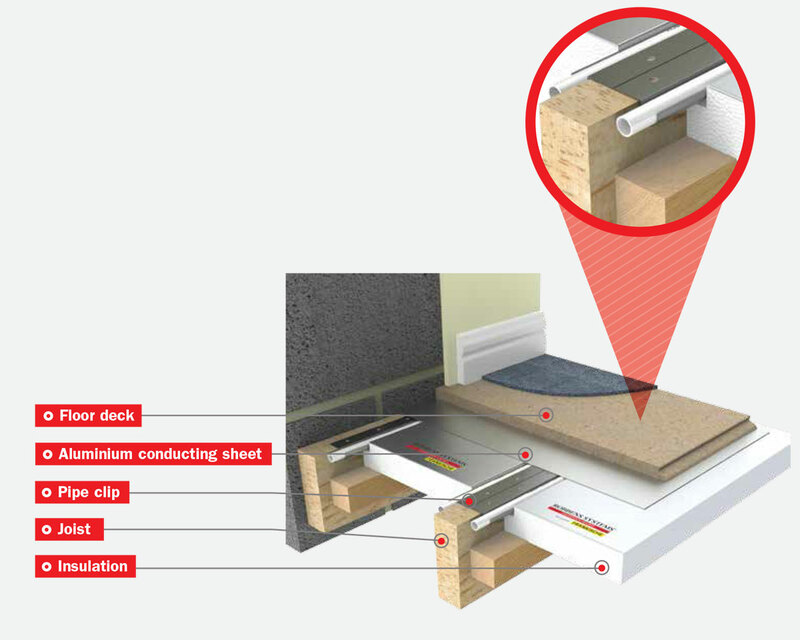 A conventional gas, oil or solid fuel boiler can be used with a water-based or ‘wet’ underfloor system. Alternatively, the underfloor heating can be powered by renewable technologies such as a heat pump. 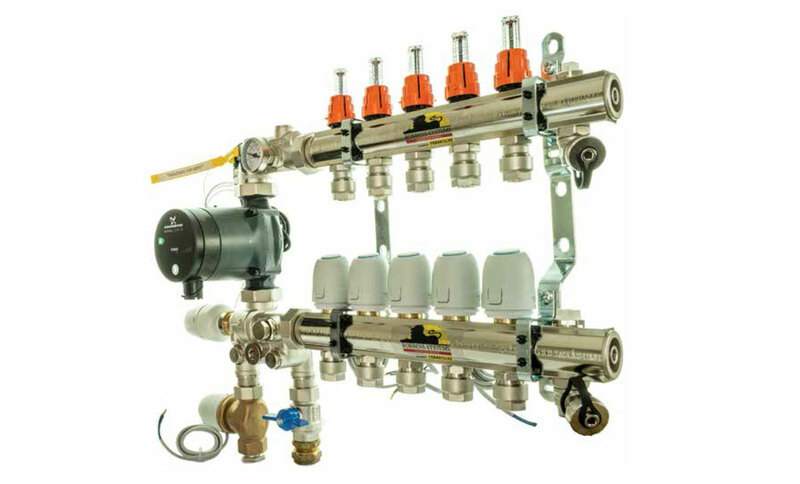 With a wet underfloor heating system, a series of narrow pipes are connected to a boiler or other heat source via a manifold which circulates warm water throughout the floor to heat the space. As the heat emitted from an underfloor system is more evenly distributed than a radiator, the system can use water at a lower temperature. So it’s a more efficient and cost-effective way of heating your home. Typically it can provide energy savings of up to 15% compared to traditional heating systems, and also offers improved design flexibility. 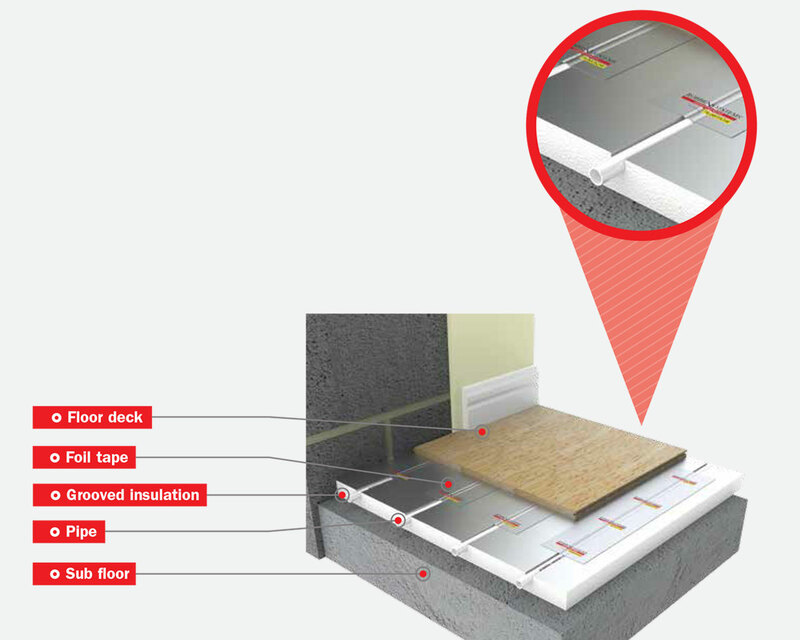 IS MY PROPERTY SUITABLE FOR UFH? The heat generated by radiators is normally concentrated into relatively small areas, heating the air directly around them. The air then rises up the wall, along the ceiling into the centre of the room. When it reaches the centre of the room, it cools slightly, and then descends towards the floor. The outcome of this is a warm head and cold feet! 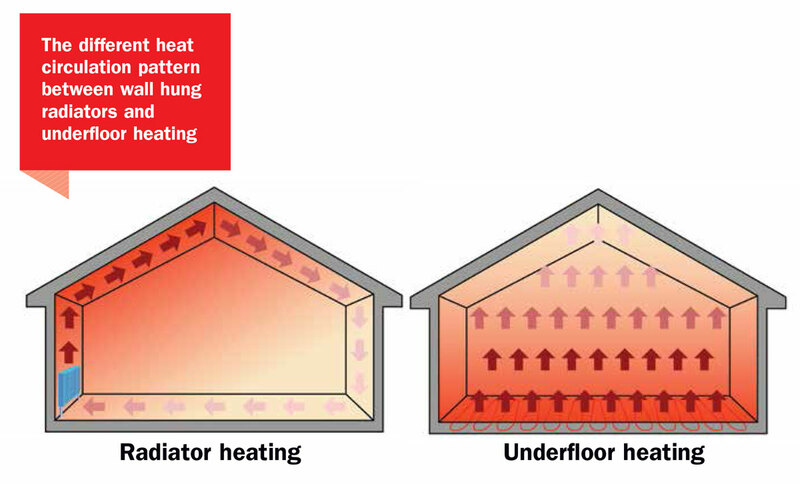 Compared to conventional radiators, an underfloor heating system generates more radiant heat as opposed to convective heat. Radiators heat up the room by recirculation, along with the permanent flow of dust particles and micro-organisms. 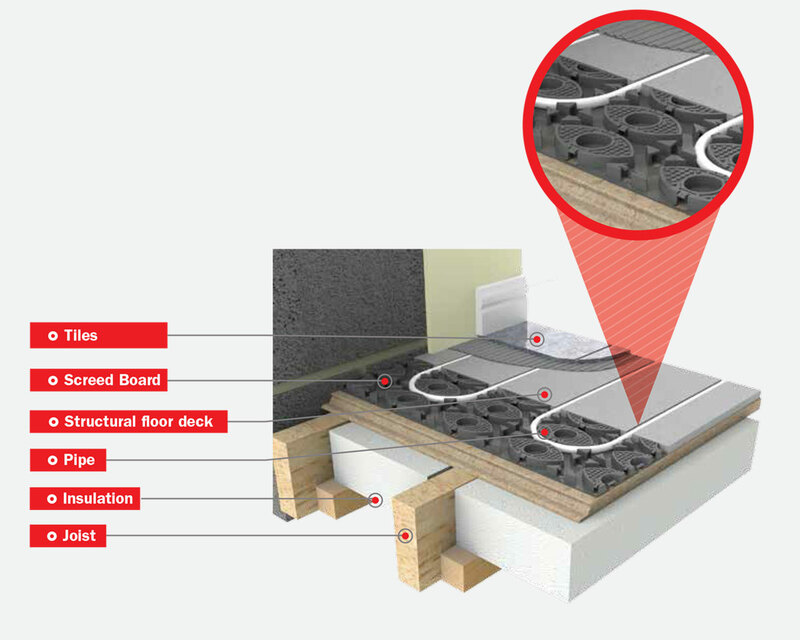 In contrast, the underfloor heating system delivers predominantly radiant heat. As known from the ‚tile stove‘, this will create a very cosy and comfortable feel within the room. 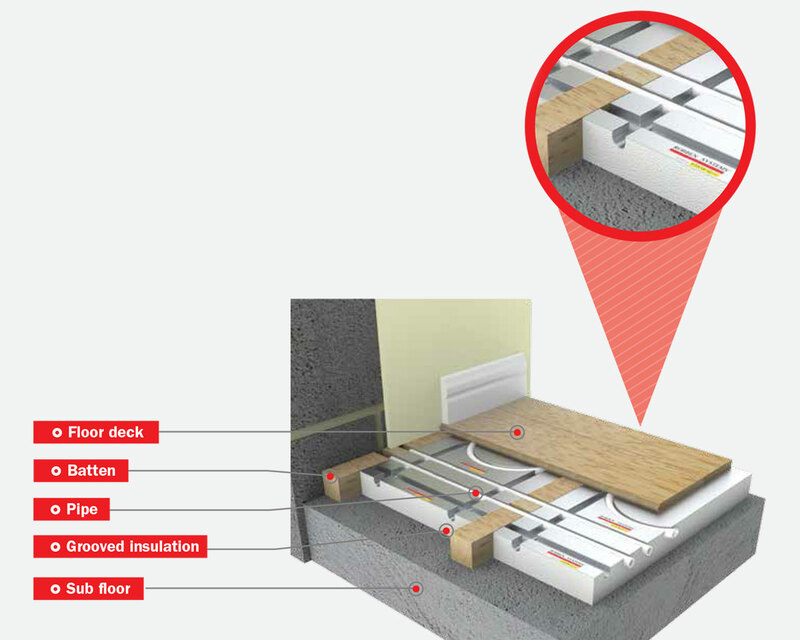 Underfloor heating systems evenly disperse radiant heat. This means the room temperature can be reduced by about 2–3 degrees because a human body is able to assimilate the radiant heat directly. 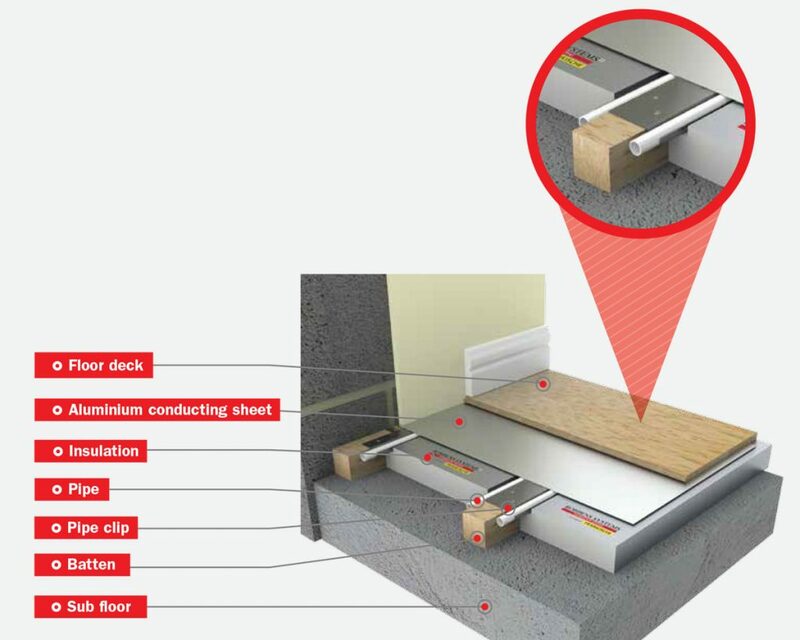 Furthermore, the flow temperature of the underfloor heating system will be between 40–60 degrees, which is considerably lower than the temperatures required by radiators. This allows the perfect combination with thermal heat sources such as heat pumps and solar systems, which reach such temperatures over the whole year. 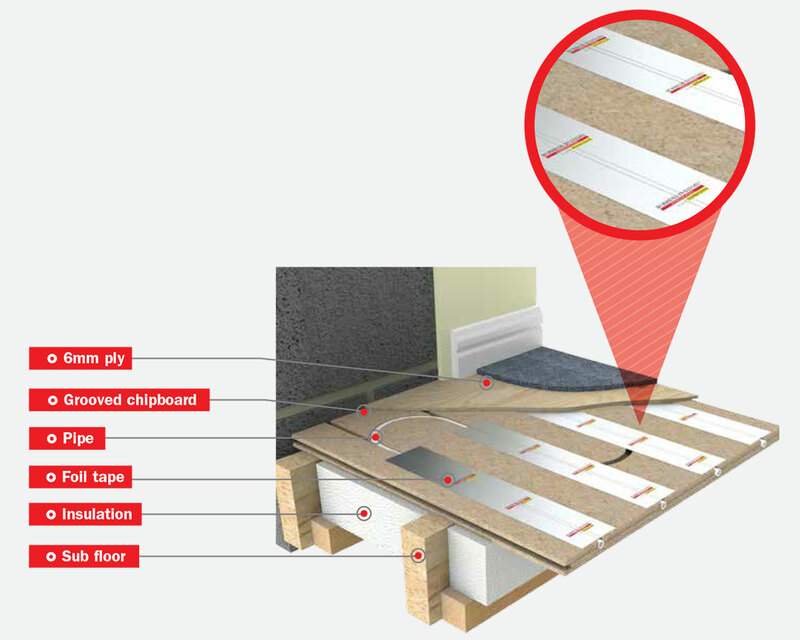 Is my Home Suitable for Underfloor Heating? As the first and most important step of the process, AES experts will always carry out a bespoke heat-loss calculation to assess your home’s individual heating needs. 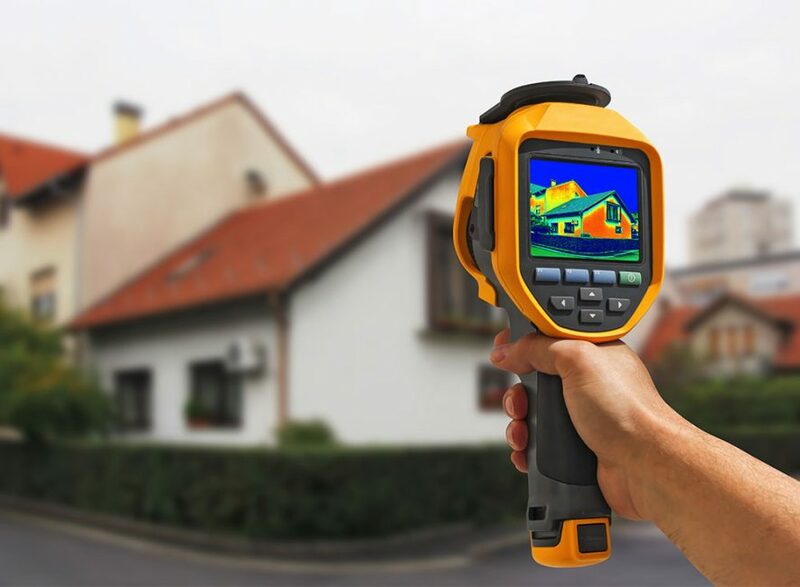 By examining factors such as your property’s size, shape, construction and geographic location, this will determine the exact system temperature needed to achieve a comfortable heat in your home. 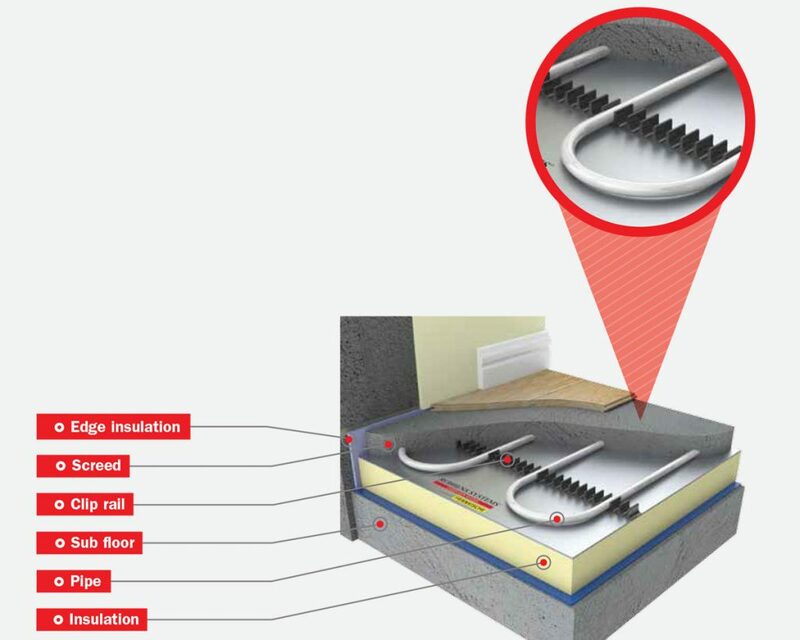 It will also indicate where pipes need to be laid closer together to compensate for areas of high heat-loss (e.g. in conservatories or near large windows) thereby ensuring that your system works as efficiently and effectively as possible. Contact us today and we will arrange your free initial site inspection as soon as possible to assess your property’s suitability, and discuss all of the underfloor heating options available to you. We work closely alongside Robbens Systems as we believe they have the same ethos in creating the perfect blend of design, quality and service to our customers.